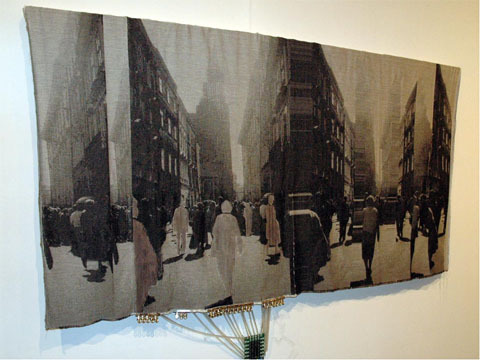 The Krakow weaving is an electronic, color-changing Jacquard weaving with conductive yarns, thermochromic inks, and a circuit board. 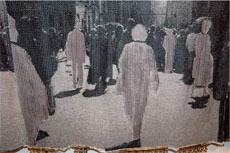 The figures in the weaving change color from black to transparent. Like our memories of them, the people in the weaving disappear over time.